Please click the donate button below to make an online contribution. After clicking "Donate" below, you will be able to make special requests regarding your contribution. 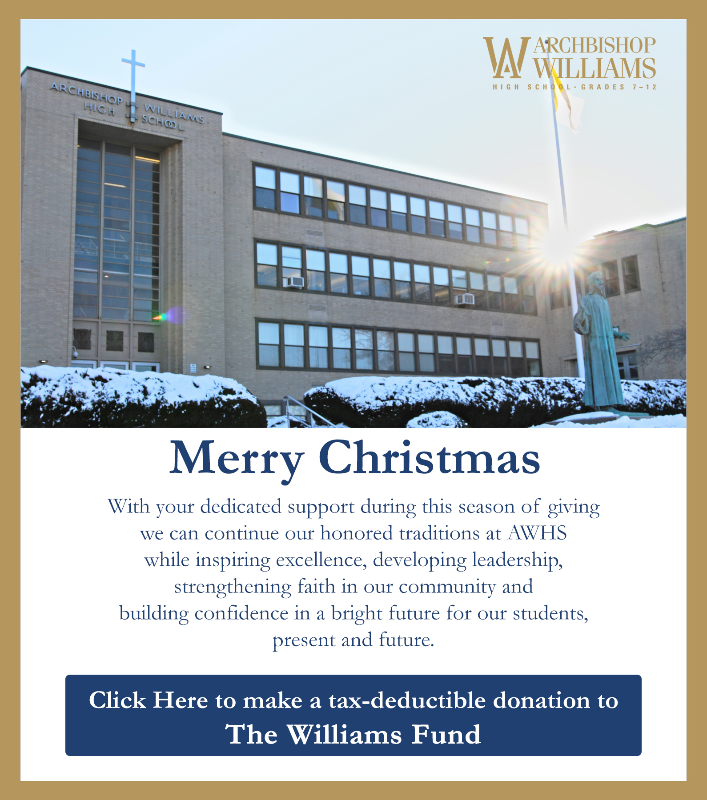 Thank you for supporting Archbishop Williams High School.